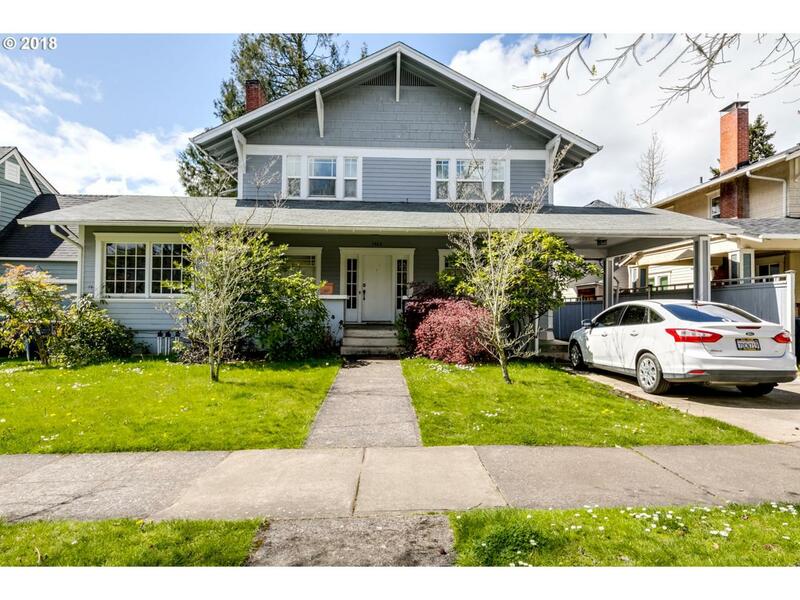 Captivating 1920's Craftsman with tons of charm & character located next to the University of Oregon Campus. Large covered front porch, hardwood floors, Updated kitchen with granite, stainless steel appliances & farm sink, massive formal dining room, crown molding, built-ins, fireplace, large lot with ally access, garage & carport. Full basement with 2 bonus spaces, bathroom & utility area. Excellent rental history. Listing provided courtesy of Windermere Re Lane County.